With the high number of computer equipment running at any given time, server rooms have big energy requirements, not to mention the massive amount of cooling needed to prevent any of them from overheating. Heating and cooling expert Schmitt discusses the ways you can improve server room energy efficiency. Whole-house humidifiers, along with ventilators, air purifiers and UV lamps, can improve your home’s overall indoor air quality. 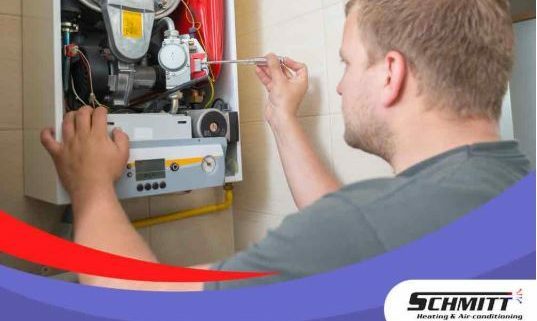 And unlike other HVAC appliances and devices, they can also significantly alleviate the many health problems associated with the coldest months of the year. Ultraviolet light is notorious for causing sunburn to the skin and discoloration on home furnishings. But did you know that it can actually help improve the performance of your HVAC equipment? https://www.schmittheating.com/wp-content/uploads/2019/04/How-Can-UV-Lights-Improve-Your-HVAC-System.jpg 768 1024 Canoga Park Heating & Air //schmittheating.com/wp-content/uploads/2016/05/logo-schmitt.png Canoga Park Heating & Air2019-03-04 09:29:232019-04-01 11:30:30How Can UV Lights Improve Your HVAC System? When discussing skin health, the last thing that probably comes to mind is your heating and cooling systems, but you might be surprised to know that your HVAC system plays an important role in keeping your skin healthy, especially during the winter months. 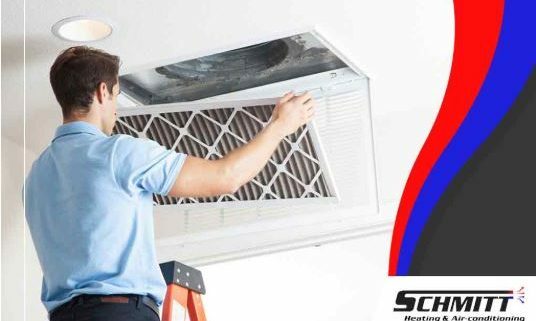 Residential and commercial HVAC repair specialist Schmitt takes a closer look. https://www.schmittheating.com/wp-content/uploads/2019/02/file-1.jpg 768 1024 Canoga Park Heating & Air //schmittheating.com/wp-content/uploads/2016/05/logo-schmitt.png Canoga Park Heating & Air2019-02-20 14:13:522019-02-21 03:34:30How Does Your HVAC Affect Your Skin? While there are many areas of your home that may require upgrades, you should prioritize those that help improve your home’s energy efficiency. Heating and air conditioning expert Schmitt lists the reasons why such upgrades should be at the top of your list.